Jayne Belnap is familiar, in person or by reputation, to most National Park Service (NPS) employees who have worked in desert environments. Visitors to parks in these areas may not recognize her name but they see the results of her legacy, with park newspaper articles, museum displays, and trail signs that explain that desert soils are not just dirt and sand but made up of cyanobacteria — colonies of blue-green algae—that form a crust on the soil that protects it from erosion. But that crust is fragile and park visitors are asked to stay on trails, rocks or in washes to protect the biological soil crusts. Jayne grew up in Utah, daughter of a prospector, and spent her youth exploring the high deserts of the Colorado Plateau and the Great Basin. She chose a different environment for college, initially studying marine biology at the University of California, Santa Cruz and then ecology for her master’s degree at Stanford University. But she headed back to Utah after her time in California and started as a seasonal botanist at Canyonlands National Park (NP). There a Brigham Young University professor interested her in his work on the effects of grazing on soil biota. Through him, she became increasingly absorbed in understanding soils and their roles in ecosystem function. She went on to get a PhD and become a world recognized expert on biological soil crusts. Jayne became a full-time soil scientist with the NPS in 1988. When the Department of the Interior decided to centralize its research functions roughly five years later, officials transferred Jayne, and she now works for the U.S. Geological Survey. From that vantage, she continues to work closely with parks, as well as other land management agencies. She has participated in valuable research and helped train scientists around the world. 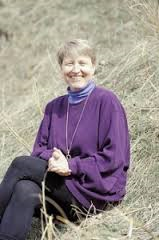 In 2003, she and Otto L. Lange co-edited the first book to summarize global knowledge about the biology, ecology and management of biological soils, called Biological Soil Crusts. She continues to study soils, looking at not only the effects of grazing and human impacts, but also exotic species and climate change. While widely published and fully involved with professional societies, she continues to bring enthusiasm and energy to wide-ranging forums that involve park managers, environmental advocates, students and interested public and to help them better understand how policy decisions can affect soils and how these affect broader ecosystems.